Born on 4th April 19 1928, Maya Angelou is an American poet and civil rights activist, who made her presence known through the use of poetry. Her words resonate with power and highlight the indomitable nature of her resolve. I was introduced to her poems through my Literature class, and being a poet myself, I took a liking to her work. Maya Angelou's childhood was a difficult one. She had suffered neglect, abuse and discrimination. People were being judged based on their colour and women were still trying to take a stand for themselves. Into such a world, Angelou rose. Her struggle mirrors the difficulty that some coloured women still face. Her biography, I Know Why The Caged Bird Sings, while bringing to light her experiences, allows the reader to fully comprehend the value of freedom; something a lot of people had to fight for. 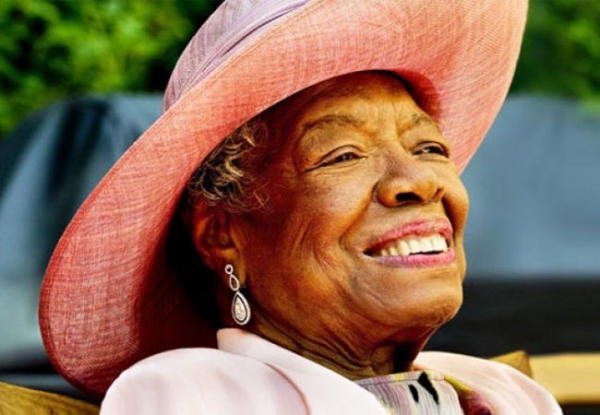 Despite her troublesome past, Angelou was able to move past it all with the help of others. She strongly believed in equality and worked up the courage to speak her mind. I, too, believe equality is a stepping stone to a positive environment. Her quotes are still largely used to empower; her writings have found a place in academic learnings. They allow us to reflect on life as was in the early 1900s, especially in the Black community. In May 2014, Maya Angelou passed away due to health problems, but she has left us a great many ideals to ponder over.